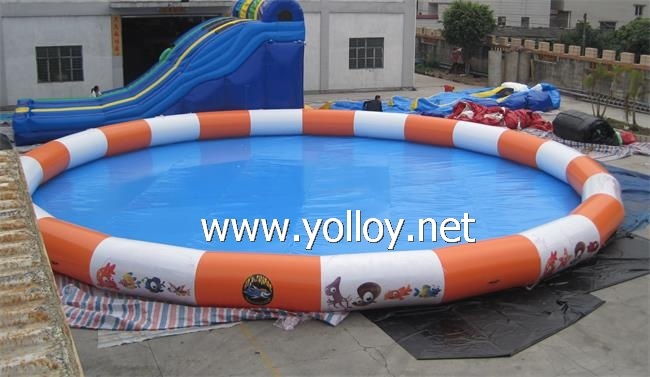 Yolloy store offers a wide range of different inflatable toys: bouncers and bouncy castles, jumpers, commercial inflatable slides, interactive sports games, and so on. When it comes to the water products, the water park toys are most popular. Playing with these cute toys is fun and it is able to engage you all the day. Anyway, it is much better than simple swimming, bathing and sunbathing. Everyone can enjoy playing with these water toys, and it doesn't matter how old he/she is. These water park toys are designed in a different way, so they have different shapes, colors and other features. However, one thing is certain. Any of these inflatable water toys is amusing and provides a lot of fun. The main categories of our inflatable water products are inflatable water parks, water roller balls (water walking balls), inflatable boats for sailing and game, and inflatable swimming pools. All these water products can be customized regarding the size and color in order to suit clients' needs. In the text below, you can see the best Yolloy water park toys and other water products. For more info about them, visit this page: http://www.yolloy.net/Inflatable-Water-Park-Toys/. The best, the biggest and the most popular water inflatable stuff is inflatable floating water park. This huge water toy is intended for the amusement parks rather than for home use. This amazing floating water park is 40m x 32m large and its height at the highest points is 3 m. The first question about this huge water park is where to place it. For such a large park you have to find an appropriate water area that is big enough. It could be some place on the river with a slow stream, the sea, lake, or a big swimming pool. If you think that it's hard to set up and install such a big structure, you are wrong. On the contrary, it is very easy to inflate this huge water park by a few blowers. Why the amusement inflatable water park is so popular? That's because it consists of various toys and obstacles, so everyone will find a toy that fits him the best. Moreover, this is an interactive game, so a large number of people can play in it at the same time – 60 or more. There are a few inflatable mattresses and stunt airbags, the water slides, one the air deck, curve, cliff, bridge, three balance beams, a tall action tower, two trampolines, four ponds, 18 safety buoys, and so on. All these inflatable elements are well-incorporated into one large floating water park. The inflatable water icebergs can be the integral parts of the large water parks or to be the game themselves. This floating water toy looks like the real iceberg, but it is air supported and has numerous bulges for climbing. Therefore, this toy is perfect for those people who enjoy climbing and water games. It is made from 0.9mm PVC tarpaulin, which is waterproof and resistant. In addition to climbing, you can use this iceberg to jump into the water. Climb to the top of the berg and jump down. Here's another funny water game to have a great fun on the water. It is the inflatable rocking saturn. This saturn rocker is made of the high-quality PVC tarpaulin and it is suitable for lakes, rivers, swimming pools, and other open or closed water areas. The kids use it the most, but the adults can also play with it. How to use this toy? You can climb, jump, rock, bounce, and do whatever you want on the inflatable saturn rocker. By the way, you can use it as a teeter if you want. All in all, this water park toy provides a lot of fun. How to make your summer more exciting? Take a look at our inflatable pipe sticks! You can carry these sticks with you to the sea, lake, river or wherever you like it. This is the great water toy for making the hot days a true blast in the summer. These inflatable tubes can hold more than five persons. They are colored in yellow and 3 m long. Do you know you can play basketball on the water? Yes, it is possible if you have the inflatable water basketball court. This lovely toy provides a completely different experience than the basketball has. 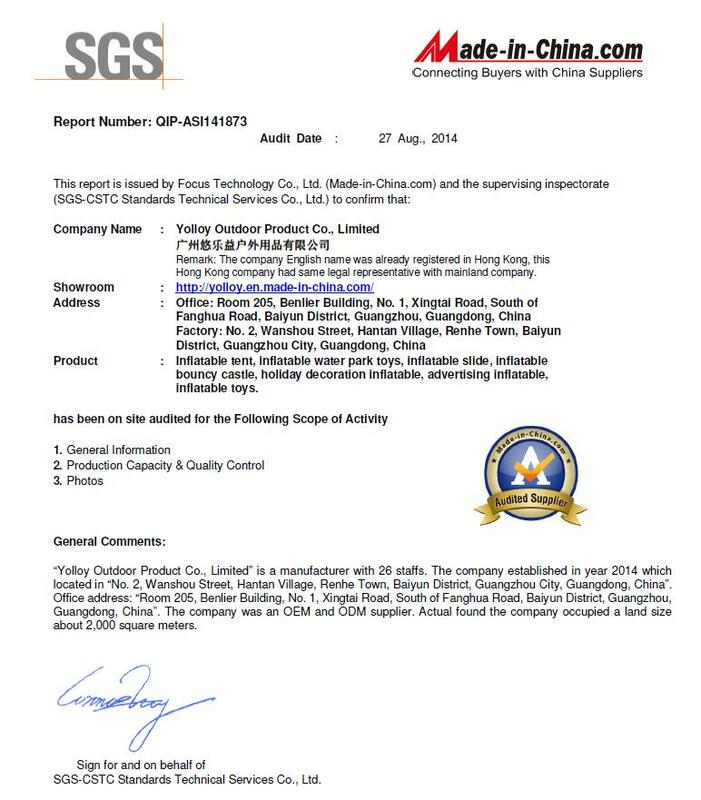 It is applicable in the lakes, water parks, swimming pools, seashores, and the like. Although this game is intended for the water areas, you can play it on the land as well on cold days. Inflatable water basketball court is made from the best quality PVC material and it comes in blue-yellow color. Besides the basketball water court, there is another sports court for the water. It is water floating inflatable volleyball court. This is a very good sport for both men or women, and for people of all ages. You can use this inflatable water volleyball court either on the beach, swimming pool, or an amusement park. This is an interactive water sport, so you can play it together with your children, colleagues or with your friends. The size of the volleyball court is . it is made of quality 0.9 mm PVC tarpaulin, and comes in the standard size 12m x 6m x 2m or in custom size, according to clients' needs. In addition to water toys and games, we also offer a few high-quality inflatable boats. These inflatable boats are fun and multifunctional. They serve as the fishing vessels, recreational boats, everyday tenders, and so on. So, you can use them for various purposes. Even better, they are unsinkable, waterproof, easy to use, lightweight, and have a good carrying capacity. Some of the popular inflatable water boats in our store are inflatable Venice boat canoe Explorers kayaks, professional raft boating fishing paddles, spring break drifting inflatable boats, cheetah fishing inflatable boat, and inflatable Eagle seahawk sport fisherman boats. Aside from these professional boats, we also have various inflatable boats for the game: inflatable Fly Fish boat, 8 person banana boats, Dolphin shape fly fish yellow boat, etc. As its name says, this funny inflatable ball is designed to walk on the water surface while moving inside the ball. It is 100% waterproof, transparent, durable, and resistant to various negative environmental effects. As for the size, it has 2 m in diameter. The water big inflatable walking balls can be colored in different colors or simply to be colorless. Some of them have the longitudinal stripes while the others do not have them. There is a special zipper in its structure, so before entering this clear ball, you should open the zipper and get into the ball. Someone else, who is not in the ball, need to pull the zipper and inflate the water walking ball with a pump. We offer a wide range of swimming pools, in different shapes, designs, and colors. You can opt for any of these pools: blue square inflatable swimming pool, round outdoor inflatable swimming pool, octagonal inflatable swimming pool, inflatable pools with canopy, and large framed swimming pool. All of these swimming pools are can be customized regarding the size. Just choose the one that best fits your family and have a great fun in the summer.